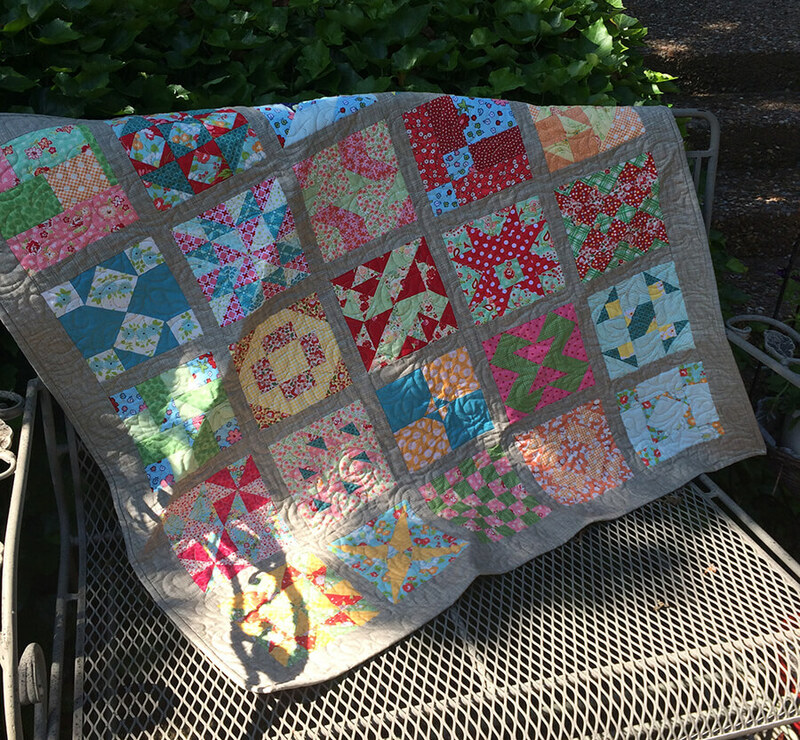 The first truly challenging quilt I ever made was the Farmer’s Wife Sampler Quilt. I mentioned the quilt in this post in case you care to check it out or see the pictures. I learned how to fussy cut a block. I also discovered an interesting fact while making this quilt. For generations, sampler quilts were the preferred teaching method for passing down quilting knowledge from one generation to another. 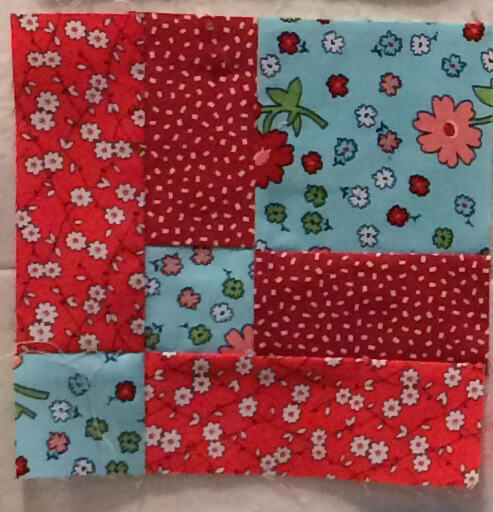 Young girls would make blocks taught to them by their mother, and they would later put these all together in a quilt. 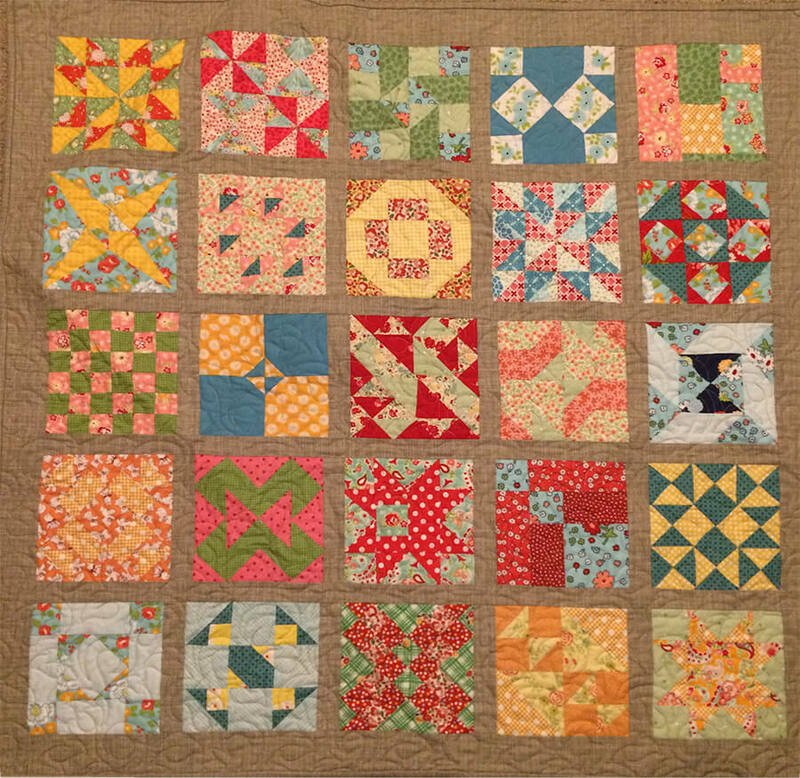 When they were older and had perhaps moved away from their family, they used their sampler quilt as a “pattern” of sorts, referring back to it in order to remember how the block was made. 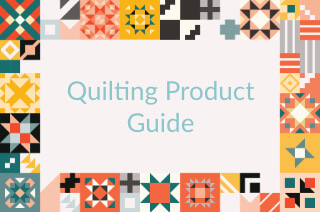 I am in total agreement with this learning strategy and think that every quilter should make at least one sampler quilt. As I was working on my Farmer’s Wife Sampler quilt #1 I often gushed to my sewing group friends (and anyone who would listen!) about how much I was learning. Since I worked on it for the better part of two years, at some point I realized that I needed to not drive my friends crazy by talking about it all the time, so I eventually did try to keep it on the down-low! But I guess my friends were actually listening to me, and a few months after I finished the quilt, one of my friends asked me if I was up for another one, as she had just purchased the 1930s Farmer’s Wife book and thought it would be fun for us to work on together. How could I say no? And then it hit me. While I truly love making quilt blocks, I really wasn’t’ down for doing 99 more of these. 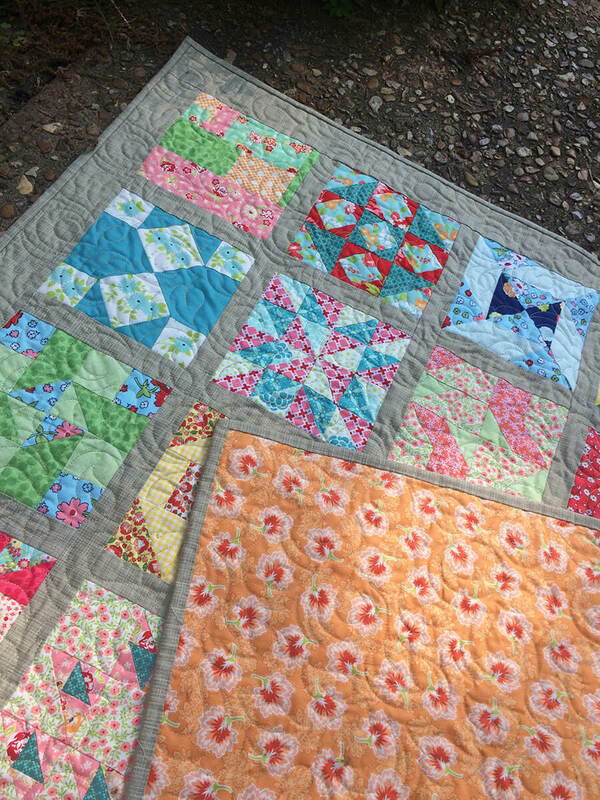 There were so many other quilts that I wanted to make. 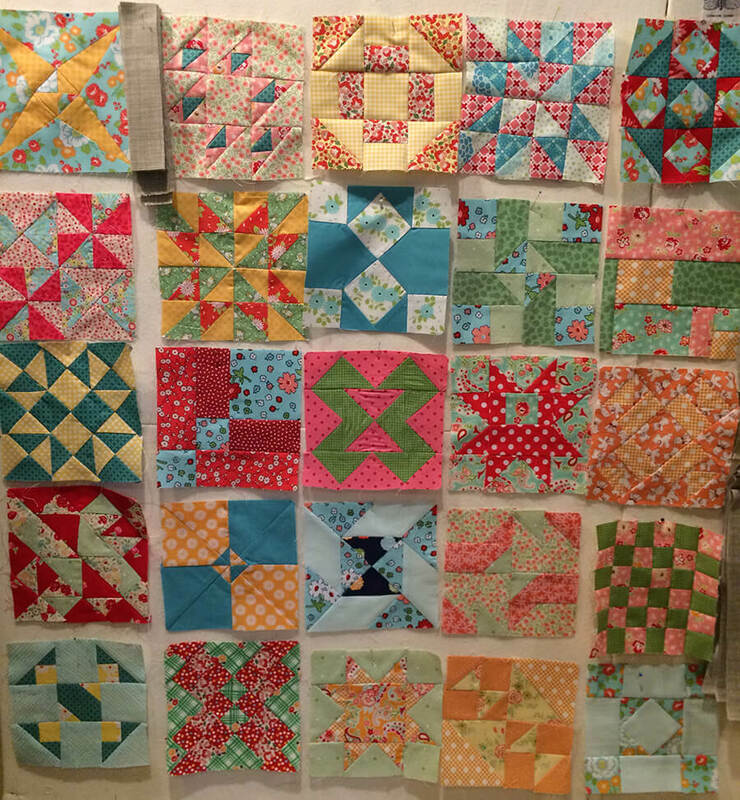 I decided to make 25 of the blocks, turn it into a baby quilt, and then move on. 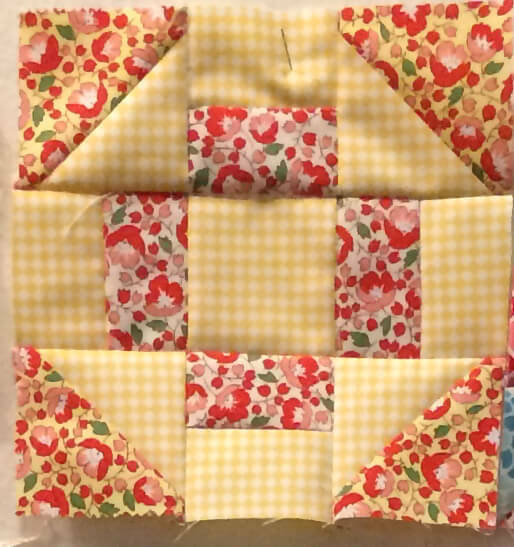 I made the 25 blocks lickety-split, then packed up the rest of my 30’s fabrics and gave them to my friend to use in her 1930s Farmers Wife Sampler. 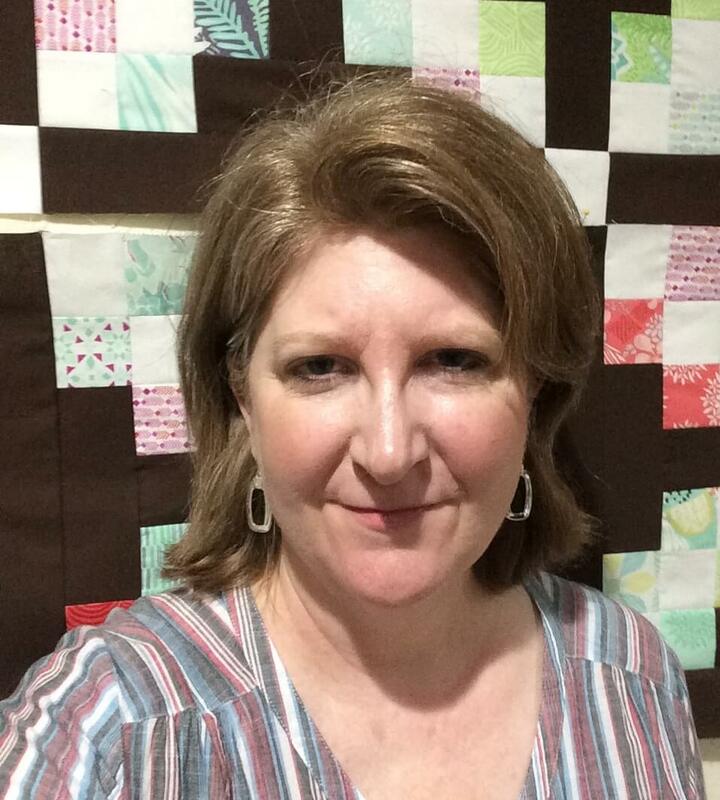 So a few weeks ago I finally go around to taking #2 to the quilter. I could tell I hadn’t taken my time with it. 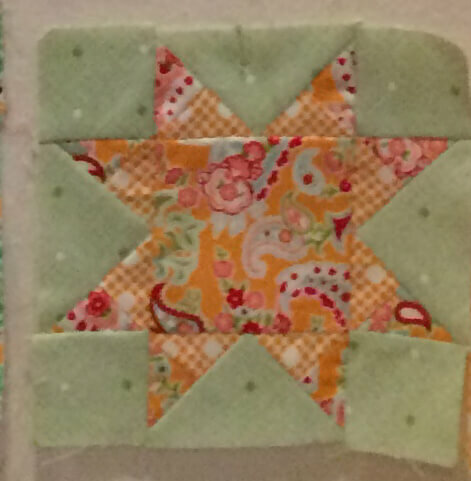 So, I really wasn’t too particular about how it was quilted…I just wanted to finish it and then donate it to someone. 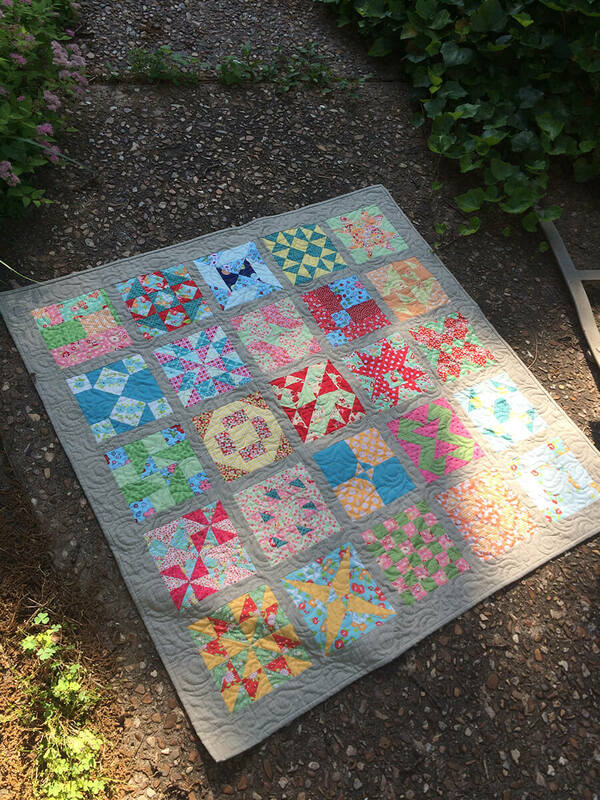 Now that my friend, Dana from Swallow’s Nest Quilting has worked her magic on it, I’m a little attached, and thinking I should keep it for a future grandbaby. Dana quilted it using a smaller scaled version of a rose pattern that I am so fond of. Lovely job, as always. The above photo taken in natural daylight shows the colors best. I’ve developed a fondness for backgrounds that have a linen type texture and thought this one by Moda was just delightful to work with. The links below is are affiliate links, which means that if you click the link and happen to make a purchase, I will earn a commission. This commission comes at no additional cost to you. and your support by using these links is greatly appreciated.